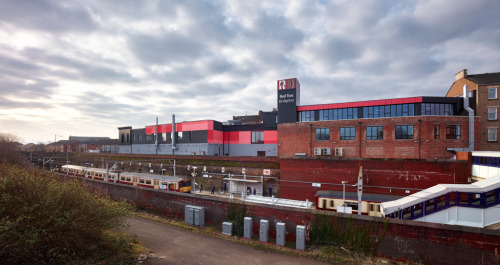 Photos by Andrew Lee of the recently completed Red Tree Business Centre in Bridgeton, Glasgow are now on our website. If you’re interested in learning more about the ongoing regeneration of Bridgeton, the Urban Design Group are hosting an evening of free talks on the 24th April at the Olympia. The discussions will include The Olympia and surrounding public realm by page/park, and two Collective projects; the Red Tree Business Centre and our proposals for the Glasgow Women’s Library.